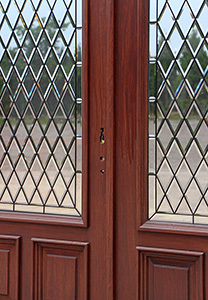 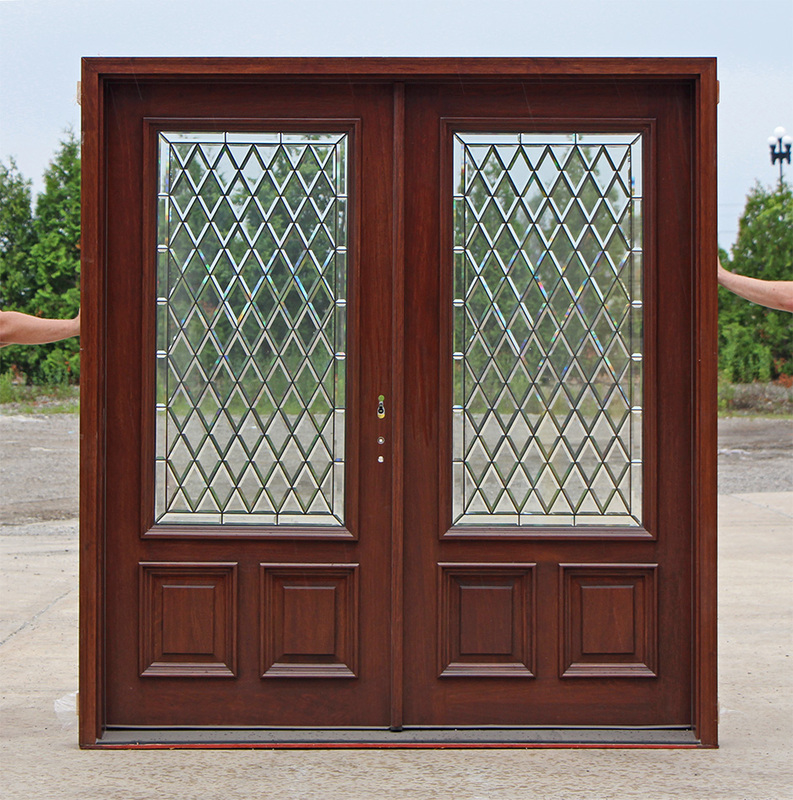 Solid Mahogany Entrance Double Doors (no veneers or laminates). 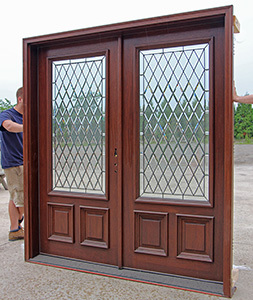 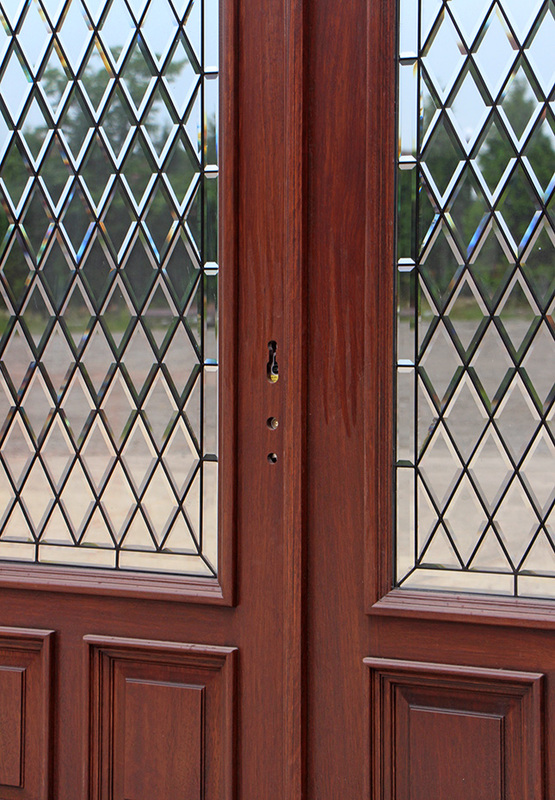 This Mahogany Front Door is Brand New and Ready to Install. Pre-finished in a UV Stain and UV Sealer for low maintenance.